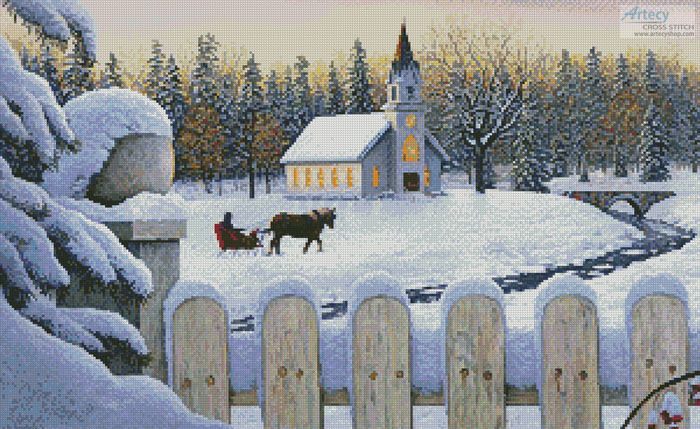 Faithful Memories Cross Stitch Pattern to print online. This counted cross stitch pattern was designed from beautiful Artwork copyright of Kim Norlien. www.norlienfineart.com Image licensed through MHS LIcensing.